Dubai, Dec14th, 2009 — Sheikh Ahmad Bin Saeed Al Maktoum, Chairman of the Dubai Supreme Fiscal Committee (SFC) reassured the investors, financial and trade creditors, employees, and citizens support of the government and has said that Dubai is, and will continue to be, a strong and vibrant global financial center. “The Government of Dubai remains committed to its high standards and its obligations. We are confident in our economic model, and we are confident in the long-term health and outlook for our economy”, he said in a statement on Monday. “The actions taken today are consistent with our market development, and we believe they are the actions that will best serve the interests of all stakeholders,” he added. The Government of Dubai, acting through the Supreme Fiscal Committee (“SFC”), today announced a set of actions in relation to Dubai World. 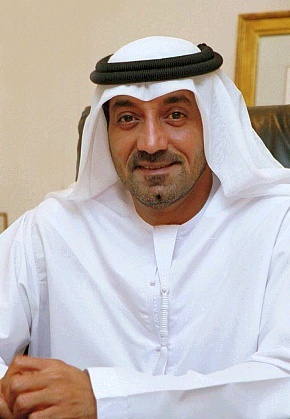 Full text of Sheikh Ahmad Bin Saeed Al Maktoum, Chairman of the Dubai Supreme Fiscal Committee statement: Like other global financial centers, Dubai has faced recent market challenges driven by global economic slowdown and severe real estate market correction. Recently, Dubai World announced that it might not be able to commercially support its obligations. Since that time, the Government of Dubai has worked closely with the Abu Dhabi Government and the UAE Central Bank addressing and assessing the impact of Dubai World on the UAE economy, banking system and investor confidence. The following provides comprehensive set of actions: First, the Government of Abu Dhabi and the UAE Central Bank have agreed to provide important support. Specifically, the Government of Abu Dhabi has agreed to fund $10 billion to the Dubai Financial Support Fund that will be used to satisfy a series of upcoming obligations on Dubai World. As a first action for the new fund, the Government of Dubai has authorized $4.1 billion to be used to pay the sukuk obligations that are due today. The remaining funds would also provide for interest expenses and company working capital through April 30, 2010 – conditioned on the company being successful in negotiating a standstill as previously announced. In addition, the Government of Dubai is particularly focused on addressing the concerns of Dubai World trade creditors within the Emirate of Dubai. To help address these concerns, today the Government of Dubai is announcing that the remainder of the funds provided will be used for the satisfaction of obligations to existing trade creditors and contractors. Discussions with affected contractors will begin in short order. 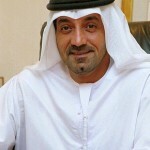 Next, the central bank is also prepared to provide support to local UAE banks. Finally, today the Government of Dubai will announce a comprehensive reorganization law, a framework that is based upon internationally accepted standards for transparency and creditor protection. This law will be available should Dubai World and its subsidiaries be unable to achieve an acceptable restructuring of its remaining obligations. Today’s actions, taken together, demonstrate our strong commitment as a global financial leader to transparency, good governance, and market principles. There will certainly be challenges periodically, just as there are challenges in other major financial centers around the globe. We believe today’s actions will best serve the interests of all stakeholders. We are here today to reassure investors, financial and trade creditors, employees, and our citizens that our government will act at all times in accordance with market principles and internationally accepted business practices. Dubai is, and will continue to be, a strong and vibrant global financial center. Our best days are yet to come. The Government of Dubai remains committed to its high standards and its obligations. We are confident in our economic model, and we are confident in the long-term health and outlook for our economy.